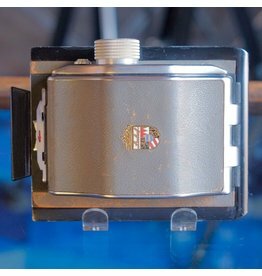 Linhof Technika Universalsucher viewfinder in fair cosmetic condition, with some finish wear. 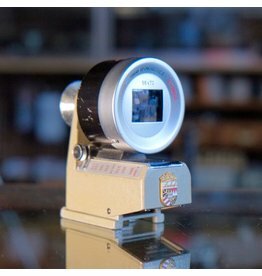 This viewfinder slips onto the Technika accessory shoe and telescopes to simulate the view for lenses from 90-360mm. Linhof 9x12cm sheet film holder wth flip-up ends and spring-loaded pressure plate. In good condition, with some cosmetic wear. Not compatible with 4x5 film. Linhof 9X12cm sheet film holder. Late-model (“thin”) Linhof 4x5 sheet film holder in excellent condition. 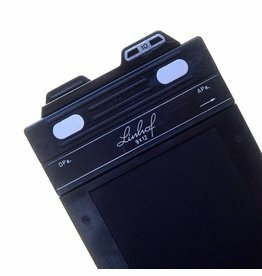 Linhof 4x5 sheet film holder. 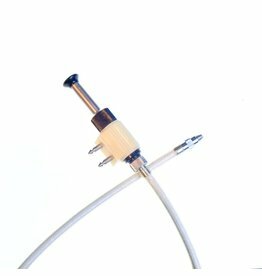 Linhof 18” cable release with body mount. 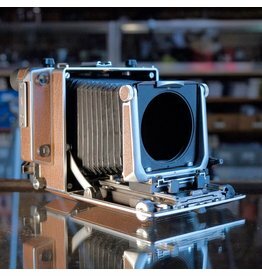 Linhof Rollex 6x6 rollfilm back for 4x5 cameras. 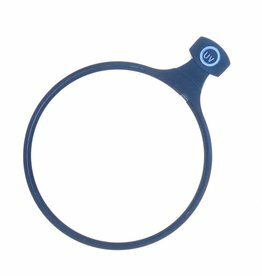 In good working order, with moderate cosmetic wear which does not affect function. Standard Graflok mount. 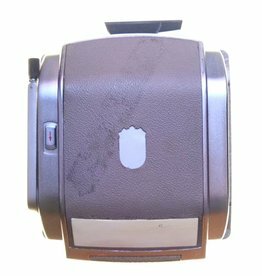 Linhof Rollex 6x6 rollfilm back for 4x5. 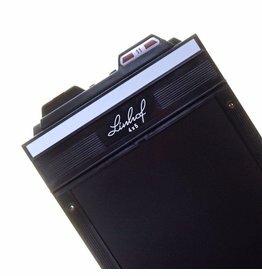 Linhof Rollfilm Back for 2x3 Technika cameras. Missing Linhof emblem, cracked darkslide handle (but darkslide is good). Does not stop at each frame. 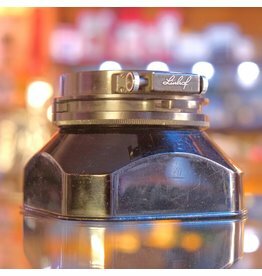 Linhof lens hood/filter holder for 70mm slip-in filters. Linhof 70mm slip-in filter, Red 1. 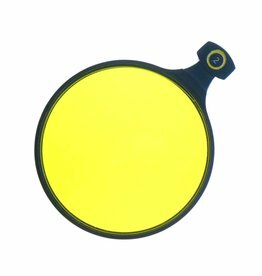 Linhof 70mm slip-in filter, Yellow 2. Linhof 70mm slip-in filter, R1 (Tungsten conversion). 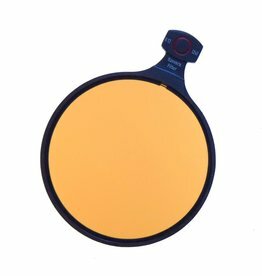 This orange-toned filter is used to correct Tungsten-balanced film for daylight shooting. Or, it’s a light orange filter. Your choice. 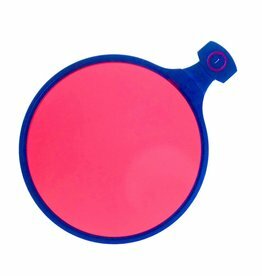 Linhof 70mm slip-in filter, UV. 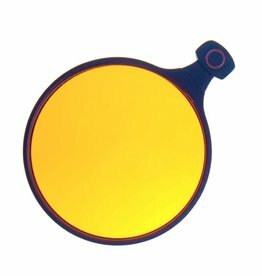 Linhof 70mm slip-in filter, Orange.